Sony recently released the latest firmware update version 5.0 for the PMW F5/F55 cameras further unlocking the potential of these amazing cameras. The new firmware update opens the path to internal 4K recording on the F5 (sold separately), the much awaited and desirable, Apple ProRes and Avid DnxHD recording (requires a board install), as well as some exciting accessories for broadcast work. This entry was posted in Cameras, News and tagged Firmware Update 5.0, Sony F55, Sony F5, Sony PMW F5, Sony PMW-F55 on 5th January 2015 by viblog. This entry was posted in Audio, News and tagged sound, tascam, dslr, rode, Audio, Sony on 17th December 2014 by viblog. 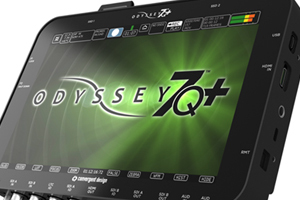 Convergent Design have just announced the new flagship model of the Odyssey Family of Products, the Odyssey7Q+. The Odyssey7Q+ expands on the 4K recording capabilities of its predecessor the Odyssey7Q, while maintaining all of the functionality, performance and ease of use. The new Odyssey7Q+ can now record 4K and Ultra HD in Apple ProRes over HDMI. Convergent Design will begin shipping the Odyssey7Q+ in quantity staring December 19th. This entry was posted in Cameras, News and tagged 4K HDMI Recorder, Convergent Design Odyssey7Q+, Odyssey7QPlus, Convergent Design on 11th December 2014 by viblog. The FS7 was announced at this year's IBC trade show event in Amsterdam and it took the industry by storm offering 4K XAVC internal recording, Super35mm sensor and high-speed frame rates at Full HD at an affordable price of less than £6,500 including VAT (body only). We'll take a look at some popular accessories for this camera today. 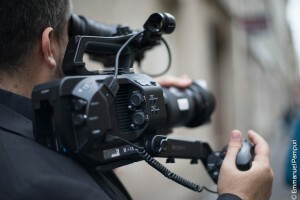 This entry was posted in Cameras, News and tagged Sony FS7 Accessories, 4K XAVC, Sony XDCA-FS7, Vocas FS7, XAVC, Sony FS7 on 2nd December 2014 by viblog. The Atomos Shogun was one of the hottest announcements at this year's NAB Show in Las Vegas back in April. Carrying the DNA of their highly successful monitor recorders – the NINJA and SAMURAI Blade, the Shogun is the world's first 4K HDMI Monitor Recorder. This entry was posted in Cameras, News and tagged GH4, Sony A7s, Atomos Shogun 4K, Atomos 4K recorder, Atomos Shogun on 26th November 2014 by viblog.